Next week it is time for Underhåll exhibition at Svenska Mässan in Gothenburg. At our stand we will display Lyftman crane system in aluminium, VacuEasylift and vacuCobra vacuum lifters, ViperHoist wire hoist, Protema electric lifts and more. Visit TAWI if you need a complete ergonomic solution for lighter and safer lifting. 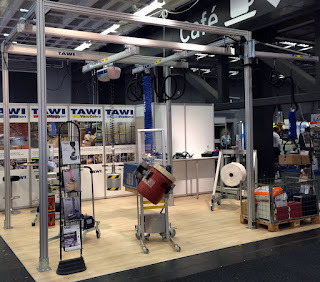 In our stand you can testlift boxes, sacks, sheets, reels and much more.